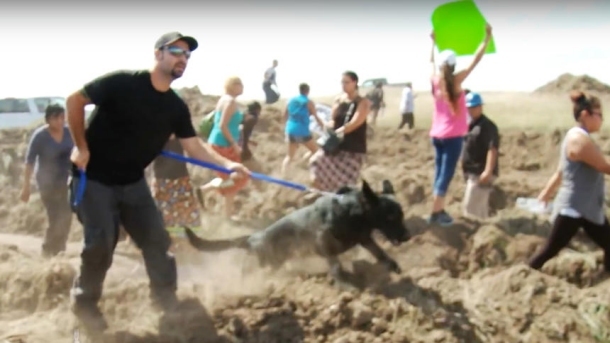 WASHINGTON – The incoming chairman of the U.S. Committee on Indian Affairs, Senator John Hoeven (R – North Dakota) wants the water protectors fighting against the Dakota Access pipeline to leave the encampments. 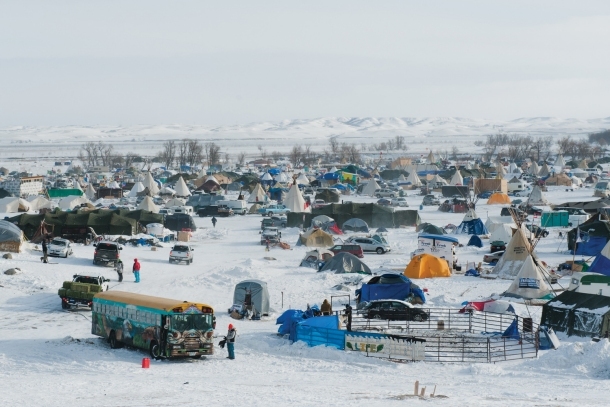 Approximately 1,500 people are still living in the various Standing Rock encampments. Big banks are finding it tough to be consistent around environmental standards. They need to try harder to address the conflicts and inconsistencies. 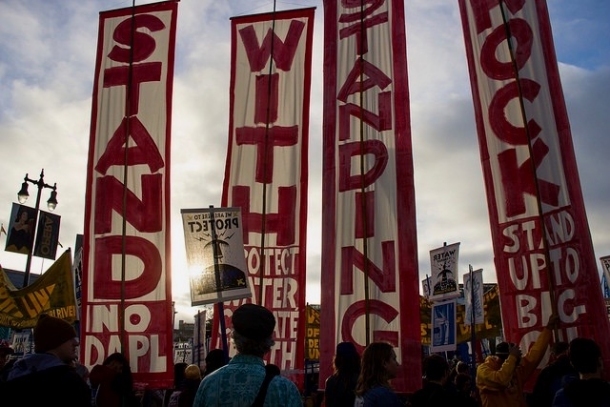 The Dakota Access Pipeline (DAPL) loan highlights the challenges banks are going to face as they seek to embrace environmental and social standards, and 'do good’ while still doing business. The $3.8 billion loan to Energy Transfer Partners to help finance the pipeline has become a headache for the deal’s lead banks. Not only does the pipeline have the potential to contaminate drinking water, it has also become a human rights issue, having been rerouted through sacred lands of indigenous peoples. As such, the deal violates the Equator Principles that 13 of the 17 banks on the DAPL deal signed up to. 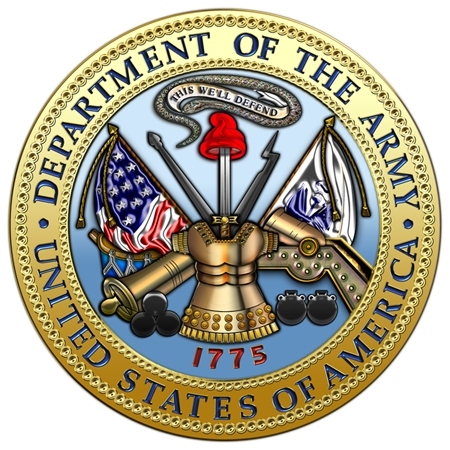 On December 4, Department of the Army announced that it would not approve an easement that would allow the pipeline to cross under Lake Oahe in North Dakota. The Standing Rock Sioux Tribe’s reservation lies half a mile south of the proposed crossing. 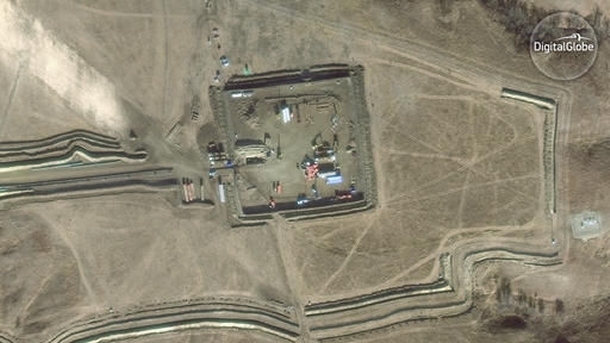 The army said that it would look for alternative routes for the project. 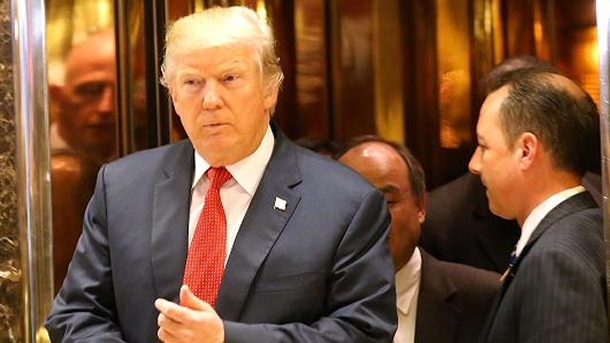 However, president-elect Trump, who owns stock in the company building the pipeline, Energy Transfer Partners, could overturn this decision after January 20. Citi, one of the leads on the deal, has found itself in an uncomfortable position. 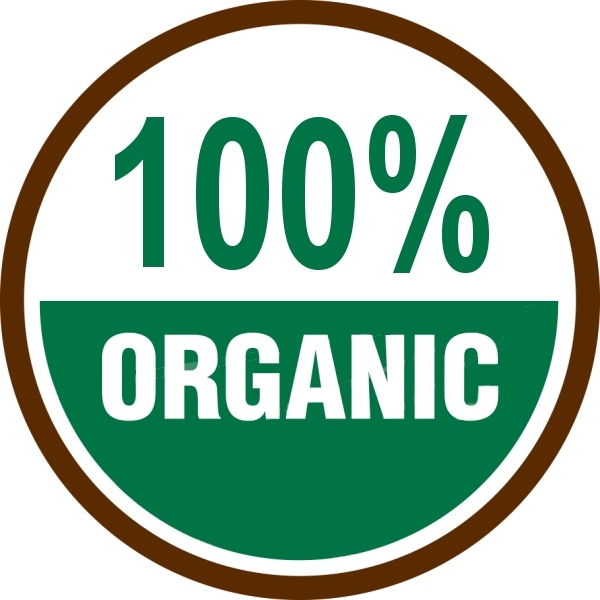 For one, it refers to the Equator Principles at length in its annual corporate social responsibility report. Two statements were put out in November by the bank assuring critics that it was assessing the deal, but customer responses on its blog page show little comfort was given. Many of the posters said they would be leaving the retail bank. A ruling on the latest Iowa lawsuit to fight the Dakota Access oil pipeline may not come until the new year. 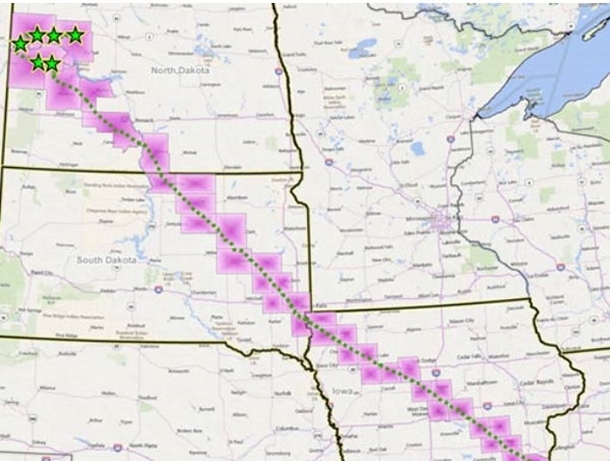 Nine Iowa farmers and landowners were in court in Des Moines last week to challenge the granting of eminent domain powers to Energy Transfer Partners, the pipeline’s owners. The closer one examines the financial position of the companies behind the Dakota Access Pipeline project, the weaker they look. We outlined some of the imminent deadline risk around the project in a report we published a few weeks ago (“The High-Risk Financing Behind the Dakota Access Pipeline”), noting how the developers are facing a Jan. 1 completion deadline they cannot meet. 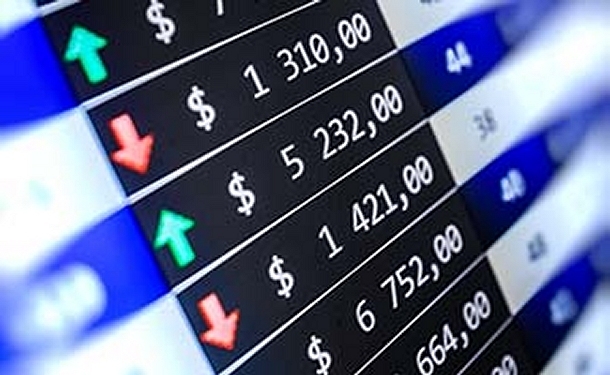 Missing that deadline could trigger a costly reset with producers and shippers, who will be able to renegotiate contracts signed two years ago with the pipeline company. This will most likely work to the disadvantage of the pipeline’s developers because oil prices have fallen by more than half since late 2014 and because the value of transport contracts are tied so closely to oil prices. 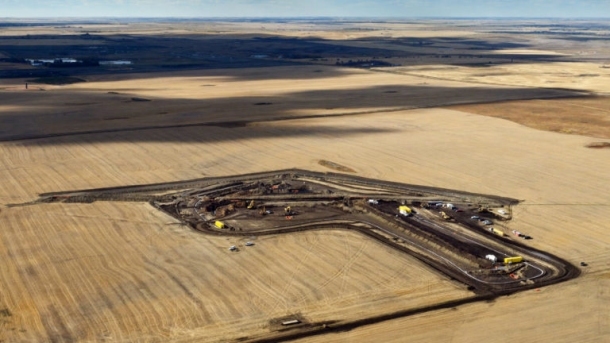 Our report also concluded that the project is an example of overbuild in oil infrastructure in the Bakken region of North Dakota and that, as such, it risks becoming a stranded asset. 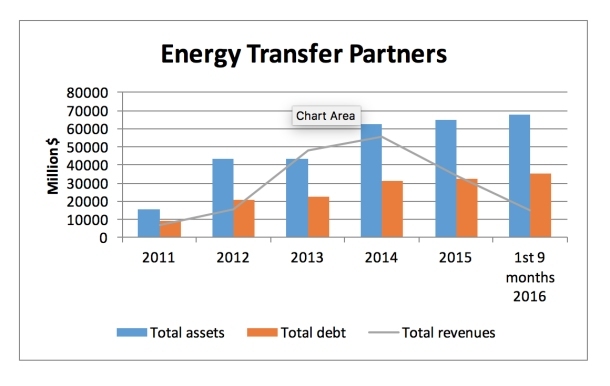 We’ve done some additional research now that shows additional weaknesses in the finances of Energy Transfer Partners (ETP). The North Dakota Supreme Court has decided to take public comments on whether to allow out-of-state lawyers to represent Water Protectors for their trials. Comments are due by FRIDAY, 4 pm Dec. 30, 2016. Written comments may be e-mailed to Penny Miller, Clerk of the Supreme Court, at supclerkofcourt@ndcourts.gov, or addressed to 600 E. Boulevard Ave., Bismarck, ND 58505-0530. Critics of Florida’s utilities say they believe Warren. They point to state regulators allowing Florida Power and Light (FPL) to build not only new power plants using fracked gas from as far away as Pennsylvania and Texas but also natural gas infrastructure that includes the $3 billion Sabal Trail Pipeline. And Florida residents are footing the bill for these efforts. There is that moment when we take the plastic protection off a new phone screen. Everything was perfect until we peel it away. Then fingerprints, scratches, and the business of life take hold. That new thing is never the same. 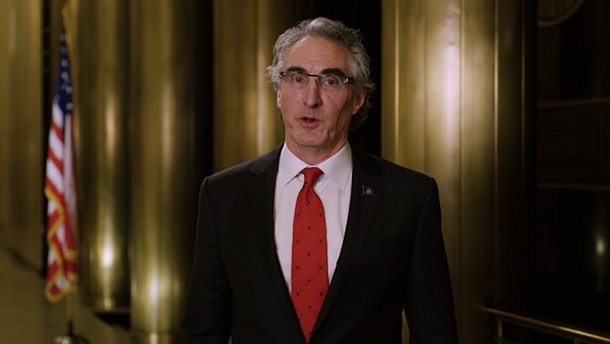 That’s exactly where Doug Burgum was as the new governor of North Dakota. He could have taken that screen and made certain that there was a new image of North Dakota for the world to see. 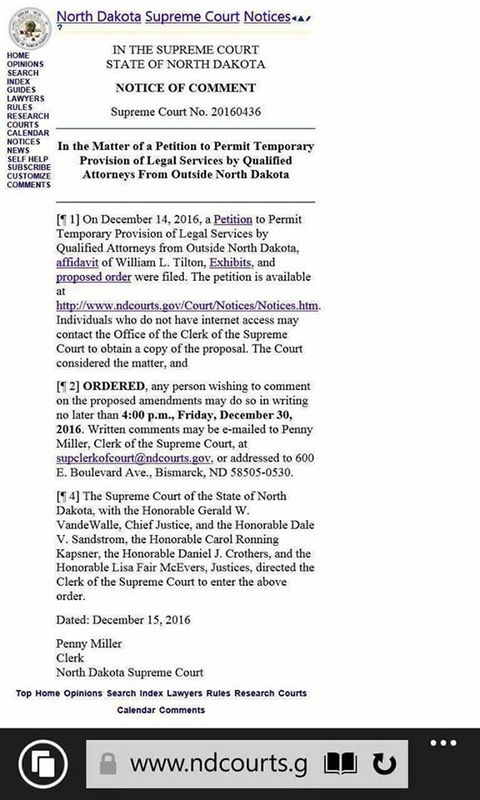 MANDAN, NORTH DAKOTA — On Thursday, December 15, 2016, the North Dakota Supreme Court issued an order calling for public comments on a petition filed by the Water Protector Legal Collective (WPLC), an initiative of the National Lawyers Guild (NLG). The deadline for comments is set for 4 PM on Friday, December 30. 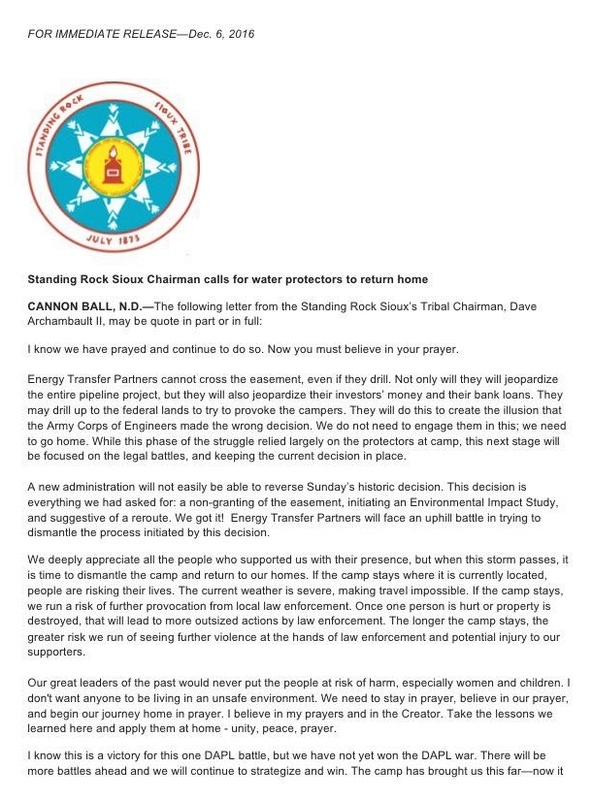 Cheyenne River Sioux Tribal Chairman Harold Frazier releases a statement to Larry Roberts, Acting Assistant Secretary of U.S. Department of Interior – Indian Affairs and Tracey Toulou, Director, Office of Tribal Justice to address abuses committed by the State of North Dakota and DAPL mercenaries against the water protectors. On November 20, 2016, water protectors, including members of Cheyenne River Sioux Tribe were attacked again. Unarmed people including Chairman Fraizer were shot without provocation with rubber bullets, bean bags water cannons, tear gas canisters and concussion grenades. 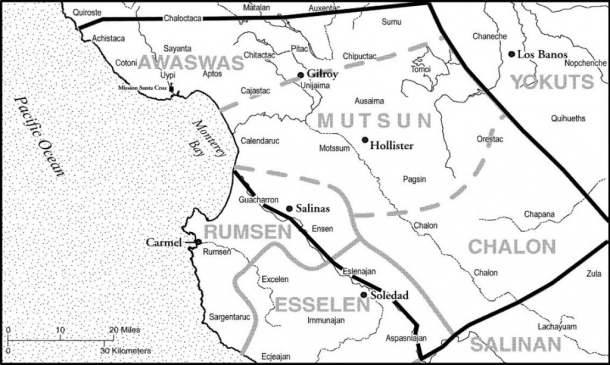 We at Mní Wičhóni Nakíčižiŋ Owáyawa (Defenders of the Water School) are greatly encouraged by the Army Corps of Engineers’ decision not to grant the easement underneath Mníšoše. 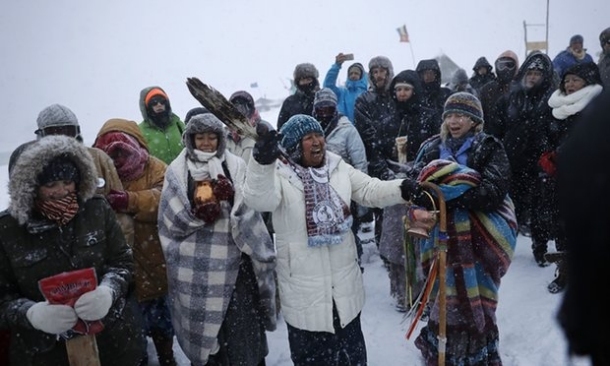 Indigenous people, along with allies, have prayed together and stood together to say that human rights abuses, treaty violations, and environmental degradation will not be tolerated. This is a historic moment and a step towards greater justice for not just Standing Rock, but all indigenous nations. This victory reminds us of how powerful we are together. 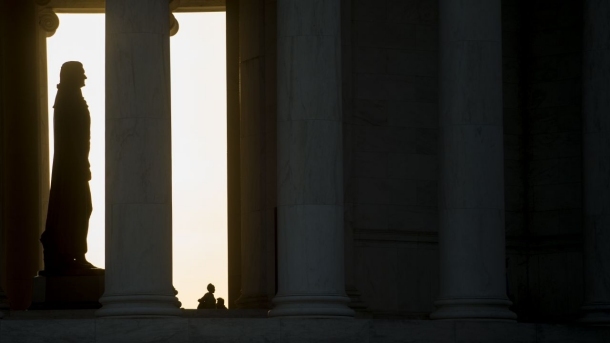 We must remember too that this fight is about much more than a single injustice. We’ve seen the State’s lack of regard for treaty rights, sacred spaces, and the earth; we’ve seen how corporate interests are elevated above human interests; and we’ve seen the police brutality and racism perpetrated against indigenous communities. However, at camp we have also seen the beauty of a community structured around indigenous values. We’ve seen the high level of love, care, and generosity we can show each other each and every day. We’ve seen how strong our prayers and our songs can be. Our solidarity does not and cannot end here. 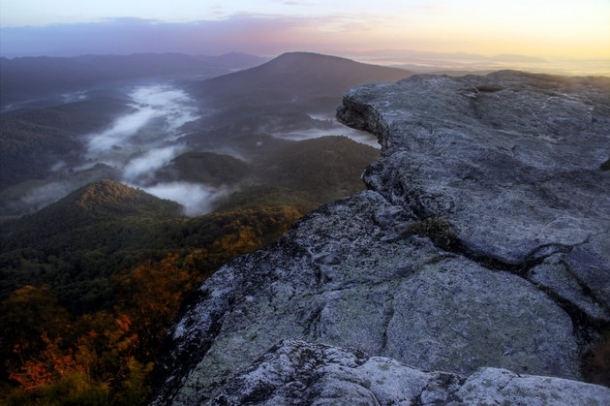 Conservation groups are rallying against the Mountain Valley Pipeline. Today I am signing the Water Infrastructure Improvements for the Nation (WIIN) Act into law. It authorizes vital water projects across the country to restore watersheds, improve waterways and flood control, and improve drinking water infrastructure. The law also authorizes $170 million for communities facing drinking water emergencies, including funding for Flint, Michigan, to recover from the lead contamination in its drinking water system. That help for Flint is a priority of this Administration. WINN also includes four Indian water rights settlements that resolve long-standing claims to water and the conflicts surrounding those claims, address the needs of Native Communities, fulfill the Federal trust responsibility to American Indians, and provide a sound base for greater economic development for both the affected tribes and their non-Indian neighbors. Thanks to our Aleut Brother Indigenuity & Christina for live streaming. On October 15th, Unicorn Riot held a live show recapping their NoDapl Videos from April 1st, 2016 till October 15th. He's the recorded livestream if you missed it. Join us Monday, December 12th for our second video recap as we start at October 15th till present. 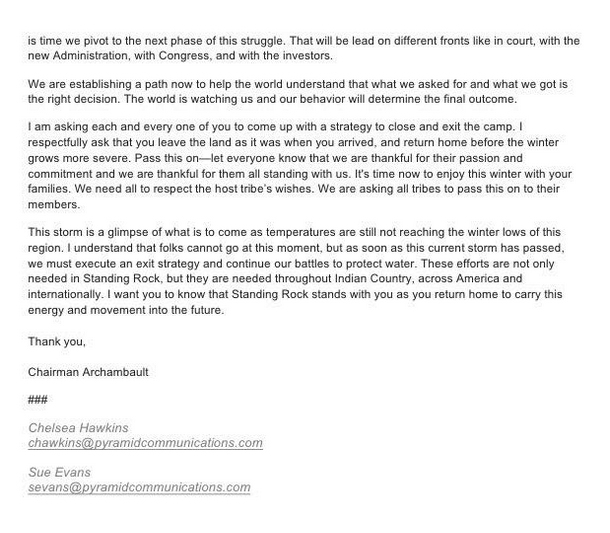 Grassroots leaders LaDonna Tamakawastewin Allard, and Chase Iron Eyes from Standing Rock have spoken and have made it abundantly clear that they want those equipped for the harsh North Dakota winter to stay and help stop DAPL, due to our current circumstance it is with great regret that we as Red Warrior cannot accept this heartfelt invitation. 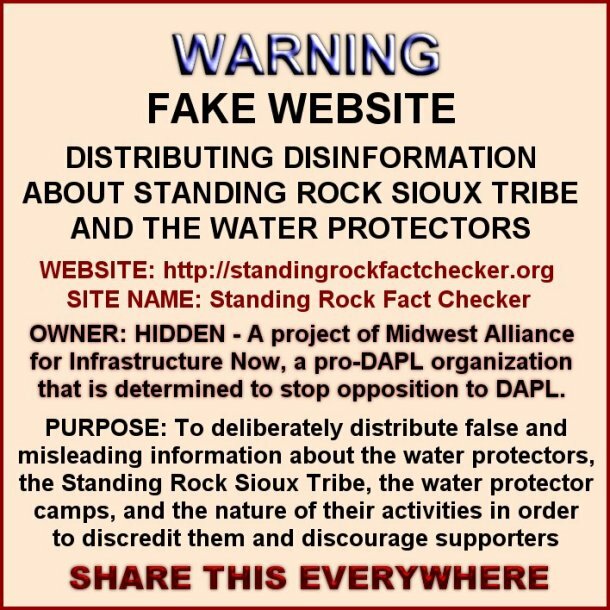 That is not to say we do not support this effort in fact is quite the opposite, we send our Warrior Salute and War Cry to the universe and the Ancestors that their needs are met and they receive the love and support they need in the fight for clean water. Port: Who Is Holding Big Protest Accountable? The #NoDAPL protest movement is seen by most as a struggle between "Big Oil" and a grassroots uprising of indigenous peoples. That's all true, to a point. Though I support the Dakota Access pipeline project — it was subjected to excruciating regulatory review and would be a safe and necessary addition to our national energy infrastructure — I don't doubt for a moment the sincerity of many of the protesters aiming to block it. Their belief that the pipeline would be unsafe is genuine. I don't agree with them. The facts are not on their side. That's fine. They're entitled to their point of view. But their cause has been co-opted by professionals who do not necessarily have their best interests in mind. What very often goes overlooked is the industry behind these sort of attention-grabbing protests. 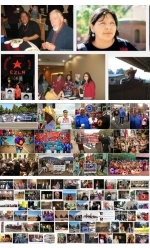 The networks of professional organizers, lawyers, media personalities, and public relations teams who work to promote a narrative which drives headlines and viral videos and, most importantly, donations to their organizations. 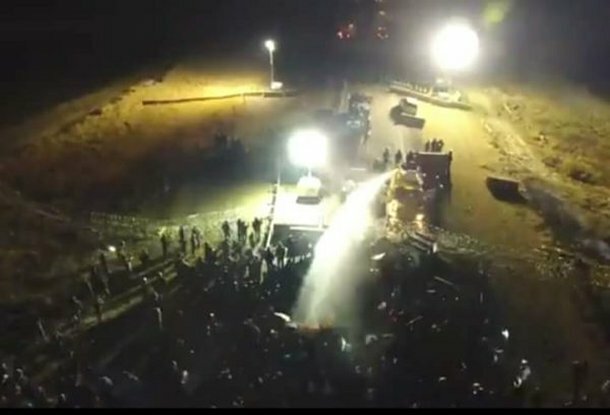 Wasn't it amazing how, almost immediately after the #NoDAPL rioters would clash with police, social media would be inundated with slickly-edited videos supporting the narrative of the activists? Videos which would then be picked up by the national media so that the view most Americans get of the conflict is through a lens being held by the protesters? That level of production and coordination requires the sort of talent which doesn't work for free. President-elect Donald Trump's Energy Department transition team sent the agency a memo this week asking for the names of people who have worked on climate change and the professional society memberships of lab workers, alarming employees and advisors. Chris Costello designed the reverse of the 2017 Native American $1 Coin, with sculpting executed by Charles L. Vickers sculpted. The Native American $1 Coin Program celebrates the important contributions made by Indian tribes and individual Native Americans to the history and development of the United States. WASHINGTON—On Friday, December 9, the United States Mint unveiled the one-year-only design that will appear on the reverse of next year’s 2017 Native American dollar. 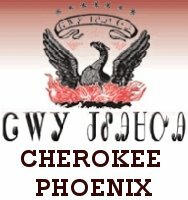 The coin features Sequoyah, who created the Cherokee syllabary. 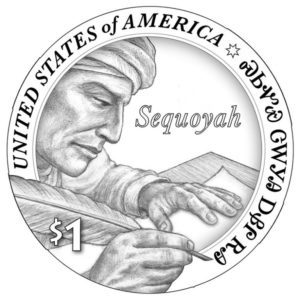 The coin depicts Sequoyah writing “Sequoyah from Cherokee Nation” in syllabary along the border of the design. Inscriptions include “UNITED STATES OF AMERICA,” “$1,” and “Sequoyah” written in English in the field of the design. 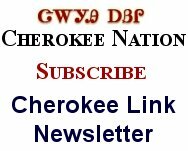 “Having Sequoyah grace the U.S. dollar coin is a wonderful national recognition for our tribe’s renowned statesmen and creator of the Cherokee syllabary. Last year, the flip side of the Sacajawea dollar was a tribute to American Indian code talkers, and this year builds on the foundation of honoring the Indian people who have played a critical role in shaping our great country. "This fight isn't over, we will continue to stand in Sacred Stone against the Dakota Access Pipeline..."
As you can see #DAPL is still working despite the judges ruling and the denial of the permit to drill on the easement! 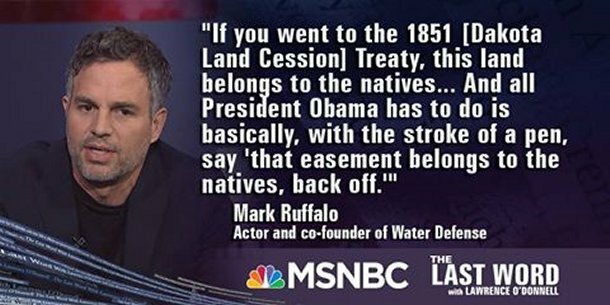 Dakota Access Pipeline and its owner Energy Transfer Partners do not respect their own country and its laws, they are the true criminals. The day of white men in masks targeting and terrorizing people of color who are standing up for their civil and human rights did not die in the 20th century. It’s happening right now in North Dakota, in the shadows of Standing Rock, to those who are protesting the construction of the Dakota Access Pipeline through sacred lands and important water sources. 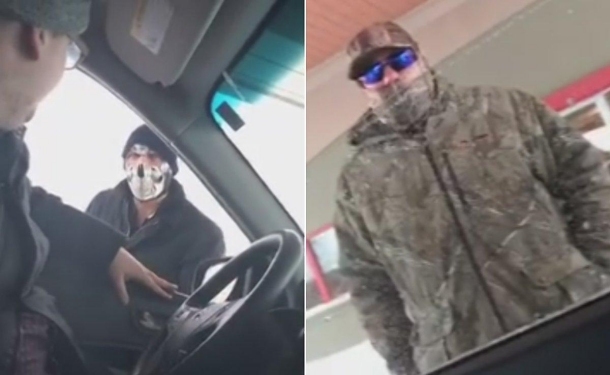 On Monday evening, in the parking lot of a Ramada Inn in Bismarck, N.D., two white men in masks violently confronted a car driven by men from Standing Rock. As the men attempted to leave, they soon realized that multiple vehicles had deliberately blocked them in. Trapped, the masked men threatened to assault them then viciously bragged about sexually assaulting their wives. Tribes to Appear Before International Human Rights Commission to Highlight Human Rights Violations Related to the Dakota Access Pipeline. 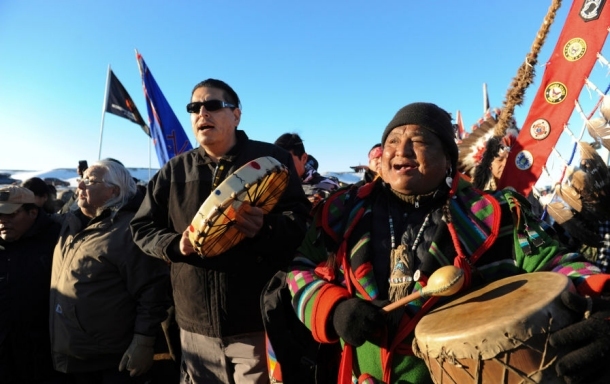 Tribal representatives of the Standing Rock, Cheyenne River and Yankton Sioux Tribes will testify at a hearing of the Inter-American Commission on Human Rights. 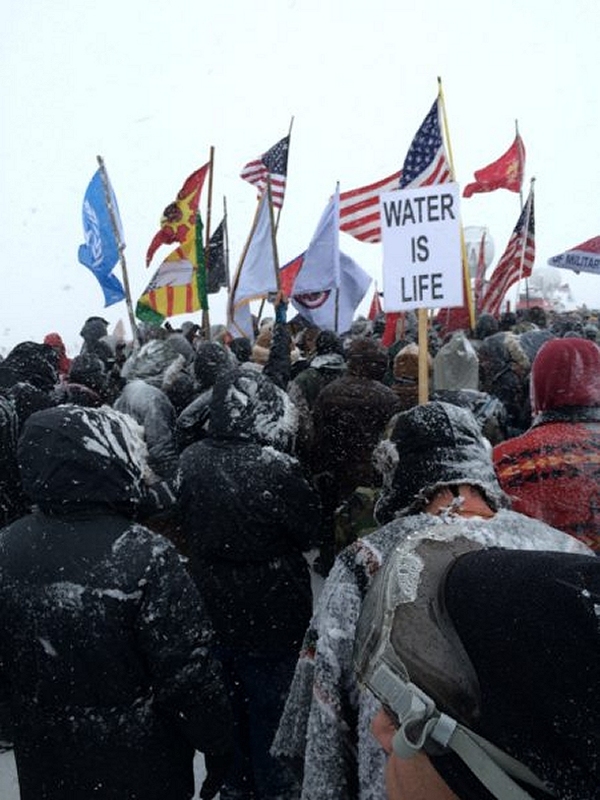 Status conference on Dakota Access Pipeline lawsuit will also be held Friday. 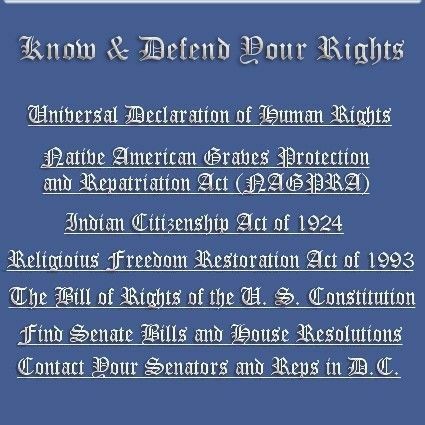 WASHINGTON, D.C.–A group of tribal representatives will testify at a hearing by the Inter-American Commission on Human Rights this Friday, December 9 at 10:15 a.m. 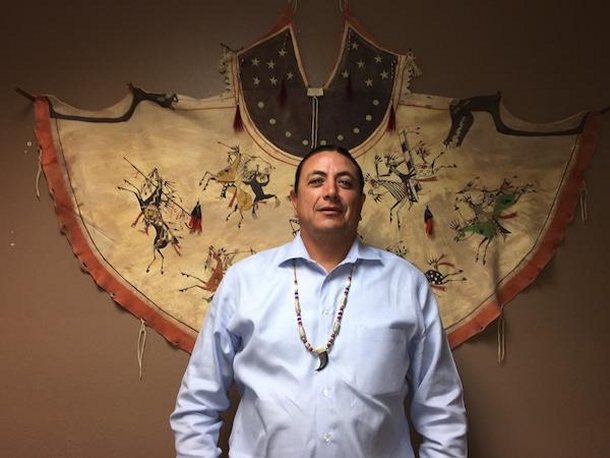 The hearing will examine the impact of extractive industries and projects on the human rights of indigenous peoples, focusing on the Dakota Access Pipeline and the Standing Rock Sioux Tribe, the Cheyenne River Sioux Tribe, and the Yankton Sioux Tribe. 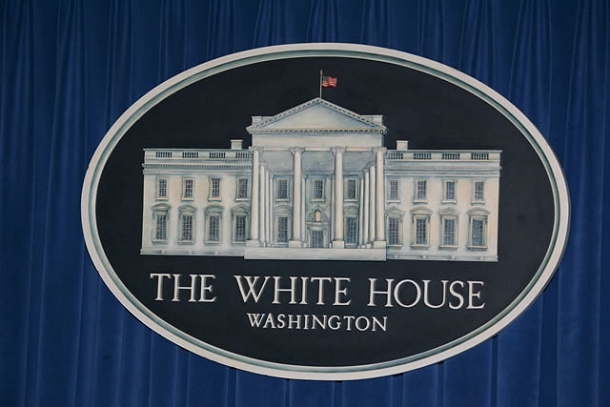 The human rights commission hearing, is public and will discuss how the planning and construction of extractive industries infrastructure projects trigger duties and obligations of members of the Organization of American States, including the United States, to promote, protect and guarantee human rights. A federal judge will consider whether to require the federal government approve the controversial Dakota Access oil pipeline. The Army Corps on Sunday announced that it would not grant the easement at this time, instead ordering a comprehensive environmental review of the planned pipeline crossing under the lake. 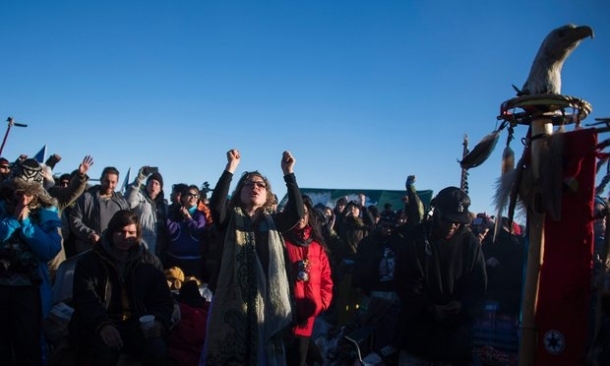 It was a major victory for the Standing Rock Sioux tribe, its allies and the thousands of protesters who had camped out near the lake for months to get the easement rejected. 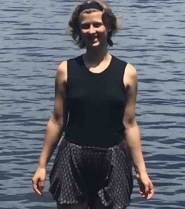 Sophia Wilansky was one among the hundreds who got ambushed on Bridge 1806 by Morton County Police the night of November 20th, 2016. The group had initially organized an effort to relocate two vehicles that Dakota Access Pipeline workers had set ablaze to help police fortify a barrier to protect construction routes (prior to their placing numerous cement blockades on it), but police had begun attacking them with rubber bullets, fire hoses and other riot weapons. 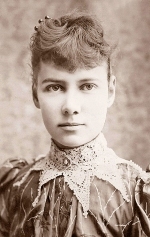 Sophia had been struck by a concussion grenade which then exploded after impacting her arm leaving her in critical condition. The photos of her gruesome attack went viral as the extent of the damage was incredibly graphic. Snowmobiles attacking cars on the road. We are live to show these violent actions. 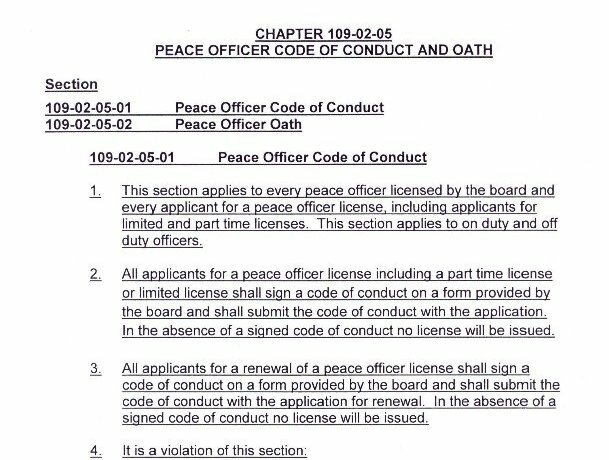 Morton County, ND – Documents acquired through a series of public records requests shine light on ongoing out-of-state law enforcement assistance to the Morton County Sheriff and the state of North Dakota in their militarized police operations to protect construction of the Dakota Access Pipeline. 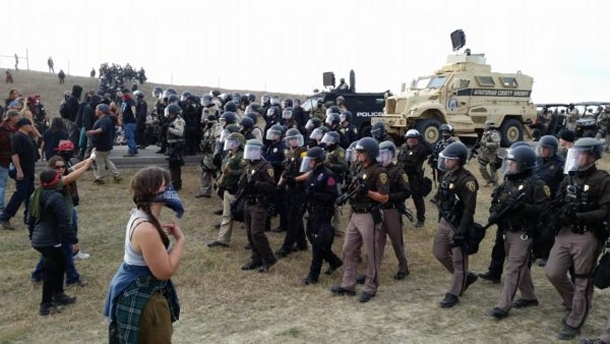 As we have previously reported, the state of emergency declared by North Dakota Governor Jack Dalrymple in August enabled Governors of other states, such as Wisconsin, to voluntarily activate their state’s emergency management agencies under the Emergency Management Assistance Compact (EMAC) to recruit police and sheriffs in their state to be deployed against #NoDAPL water protectors in North Dakota. 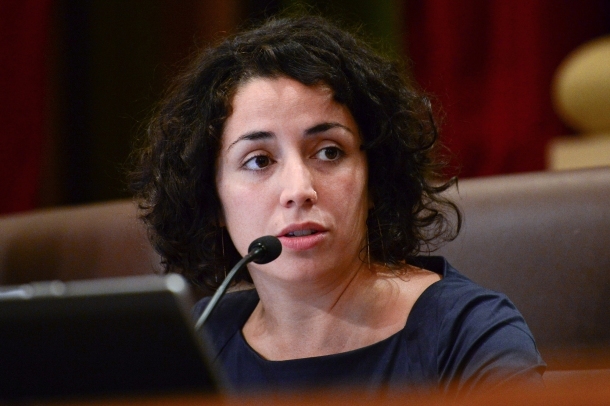 Minneapolis City Council Member Alondra Cano, here in 2014, co-sponsored a motion to have city staff explore ending relationships with banks that invest in fossil fuels and project such as the Dakota Access Pipeline. A 21 year old who nearly lost her arm during an incident with police near Standing Rock is expected to leave a Minneapolis, Minnesota hospital soon and go back to New York City, New York. 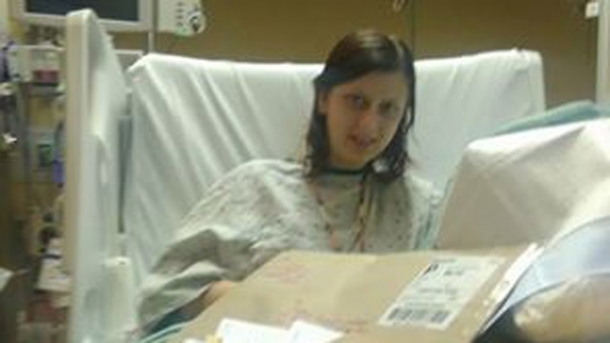 A post from Sophia Wilansky’s father on facebook said she is looking forward to going home. “Sophia is doing better each day and we are excited at the prospect of her going home on Saturday December 10th 2016,” her father wrote. 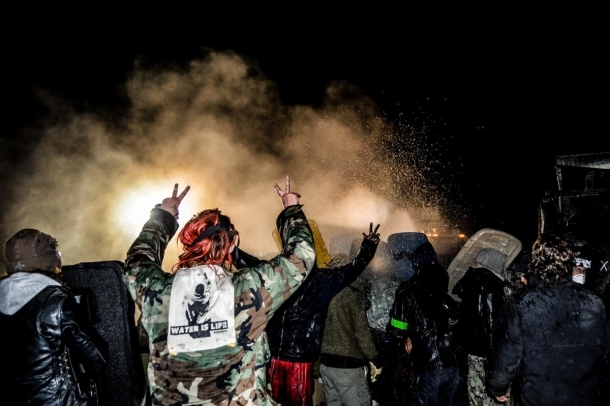 Wilansky was handing out water bottles to protestors on the Backwater Bridge near the Oceti Sakowin camp on November 21 who were battline police water cannons, rubber bullets, and concussion grenades. Her father said she was hit by what’s believed to be one of the concussion grenades. FARGO — Gov. 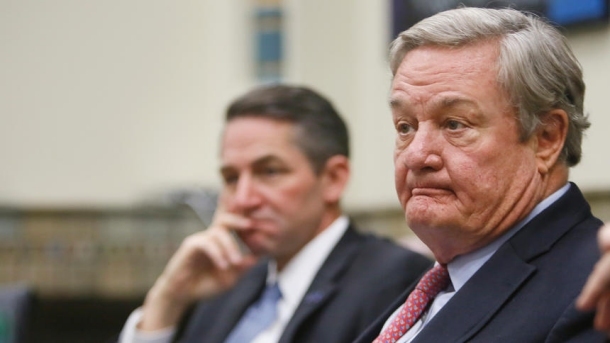 Jack Dalrymple said North Dakota finds itself "outgunned" in countering a "social media machine" manipulated by national environmental groups while the company behind the Dakota Access Pipeline has "abdicated" its responsibility to defend the controversial project. 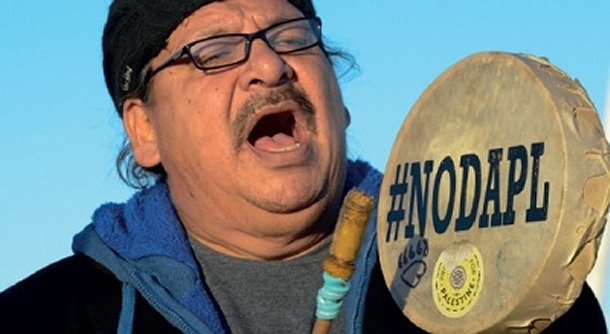 Dalrymple also said in a meeting Thursday, Dec. 8, the sprawling protest presence near Cannon Ball, N.D., operates outside the control of the Standing Rock Sioux Tribe and it is difficult for officials to identify a clear leader in the shape-shifting movement. In a wide-ranging conversation about the state's difficulties in dealing with the ongoing protest, Dalrymple expressed frustration that the company building Dakota Access Pipeline, Energy Transfer Partners, has not been vocal in making the case for the project in the public debate. 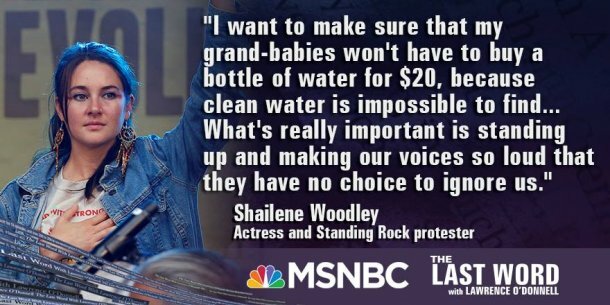 See and hear Lee Ann Eastman and other Water Protectors from Standing Rock. 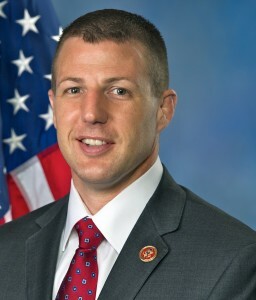 WASHINGTON – Congressman Markwayne Mullin (R-Oklahoma) was a supporter of Donald Trump in his run for the presidency. Mullin (Cherokee) served as co-chair of Trump’s Native American Affairs Coalition, Since Trump won the presidency Mullin has voiced his support to privatize tribal lands to tap into energy products such as oil, natural gas and even coal. 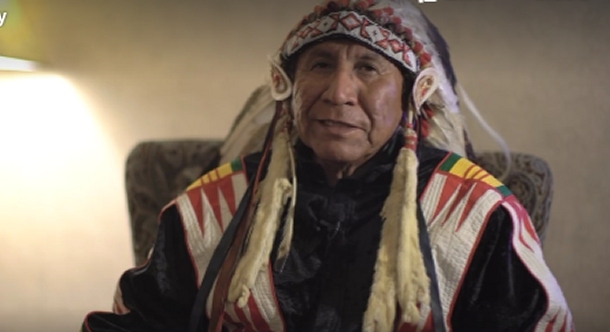 Standing Rock - Chief Arvol Looking Horse, "Keep the Prayer Going"
"Though water protectors have held their ground at Standing Rock against the Dakota Access pipeline for months now, they need only push for a month and a half longer until it is possible that their mere presence may actually kill the oil-funneling project. 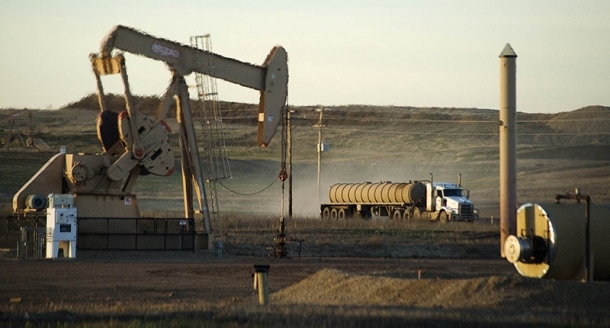 A six-inch crude oil pipeline operated by Belle Fourche Pipeline Company in western North Dakota was shut down following discovery of a leak on Monday. The amount of the spill was not immediately known, but oil has leaked into the Ash Coulee Creek in Billings County. "It is a significant spill," Bill Suess, spill investigation program manager for the North Dakota Department of health, said. "A series of booms have been placed across the creek to prevent downstream migration and a siphon dam has been constructed four miles downstream of the release point." 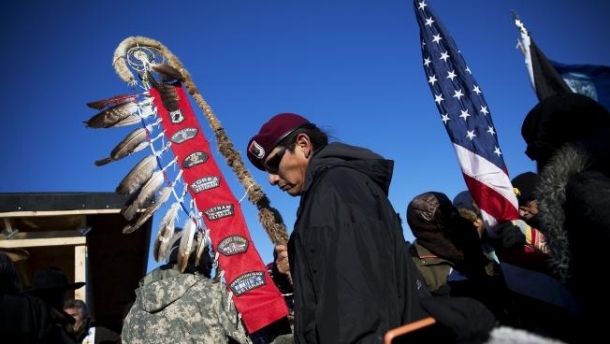 After months of protests over the South Dakota pipeline, activists and members of the Sioux tribe saw a victory that seemed too good to be true: On Sunday, the U.S. Army announced it would seek alternative routes for the $3.8 billion pipeline. 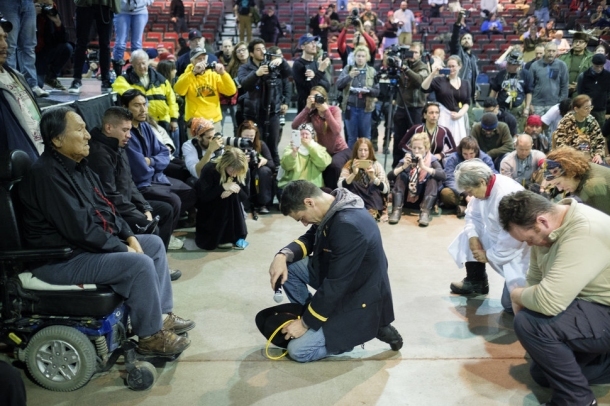 The protest unified members of Sioux Nation, hundreds of other Native populations, clergy and supporting veteran groups to fight the routing of a pipeline under the Missouri river, which they said would contaminate water and threaten sacred lands. When the news arrived, they celebrated. Standing Rock Sioux Chairman Dave Archambault III asked everyone to return home, and fireworks lit up the night sky. Yet amidst the celebrations, the question remains: how long will this last? 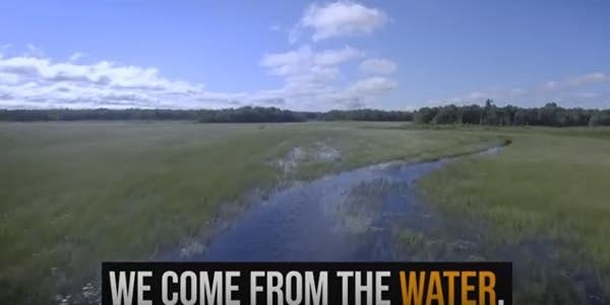 [In October 2013] A farmer in North Dakota (http://www.cbsnews.com/news/massive-oil-pipeline-break-under-nd-farmers-wheat-field/2/) discovered one of the largest crude oil spills ever recorded in the state just “bubbling up out of the ground” while harvesting wheat a few months ago. Farmer Steve Jensen stated that he smelled the crude oil a few days before his combines were covered in it. The oil was “spewing and bubbling six inches high,” he said in an interview with CBS News. 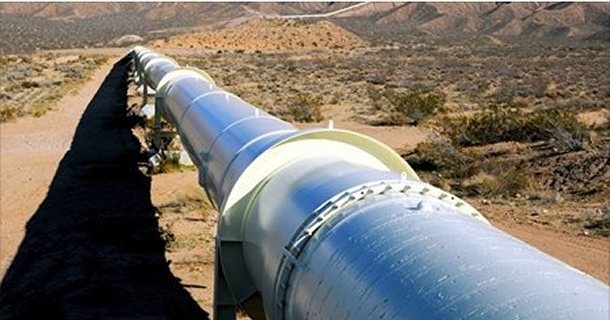 The Tesoro Corp’s underground pipeline spilled 20,600 barrels of oil under the farmland. It was four times the size of a pipeline that burst in March of 2013 that forced the evacuation of more than 20 homes (http://www.cbsnews.com/news/homes-evacuated-after-exxonmobil-oil-pipeline-spill-in-arkansas/) in Arkansas. Luckily for the general population of North Dakota, however, the pipeline is in a remote corner in the northwest The nearest home is half a mile away, and there have been no water contamination reports. No animals or people have been injured in the spill. Tesoro Logistics released a statement that the affected portion of the pipeline has been shut down. The company estimates it will cost about $4 million for clean up, and that “it is completely contained and under control” due to a natural layer of clay that is 40 feet thick underneath the oil spill site that has kept it from contaminating the water. 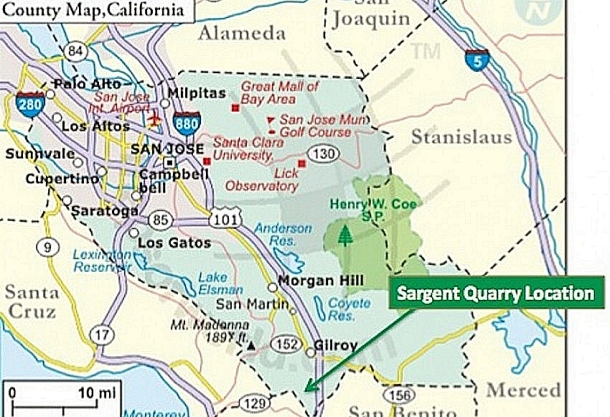 Eric Haugstad, Tesoro’s Director of Contingency Planning and Emergency Response has said there was a quarter-inch thick hole in the 20-year-old steel pipeline, which runs 35 miles from Tioga to a railroad facility near the Canadian border. The company is investigating possible causes. Chief Arvol Looking Horse "The Battle Is Not Over"
Chief Arvol Looking Horse calls for an International Day of Prayer for Peace and Non-Violence at Oceti Sakowin Camp. 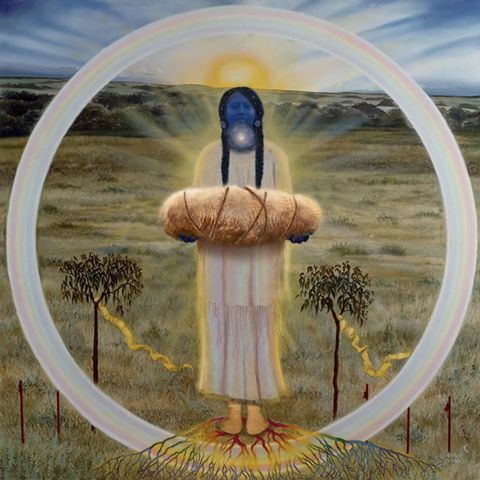 Chief Looking Horse called on all nations and all faiths to come together for one prayer. "Mother Earth is sick and has a fever," said Chief Looking Horse, 19th Generation Keeper of the Sacred White Buffalo Calf Pipe. Chief Looking Horse said there must be help for the young people and all people. An energy shift has to be created, and it must be created through prayer. The news of the Dakota Access Permit being denied was a victory. "The victory is there, but the battle is not over. This is a beginning that we are going into right now. "We've got to realize that Standing Rock is everywhere in the whole world." Delays have already cost Energy Transfer Partners more than $450 million, the company said in court documents last month, and continued delays cost $83.3 million per month. The Army Corps of Engineers isn't very sympathetic saying in court filings that the company knowingly began construction prior to receiving all necessary approvals "at its own risk." HOW LONG OF A DELAY IS LIKELY? 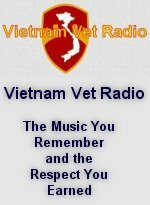 Many of us, me particularly, are from the units that have hurt you over the many years. We came. We fought you. We took your land. We signed treaties that we broke. We stole minerals from your sacred hills. 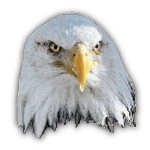 We blasted the faces of our presidents onto your sacred mountain. When we took still more land and then we took your children and then we tried to make your language and we tried to eliminate your language that God gave you, and the Creator gave you. We didn’t respect you, we polluted your Earth, we’ve hurt you in so many ways but we’ve come to say that we are sorry. We are at your service and we beg for your forgiveness." A crude oil transmission line was shut down in western North Dakota following a leak that spilled oil into a creek, the state said on Tuesday. The Standing Rock Medic and Healer Council explains the medical and health situation at the Dakota Access Pipeline Resistance Camps (Oceti Sakowin, Sicangu/Rosebud, Sacred Stone, etc.) in light of the ongoing blizzard conditions and 1806 police roadblock. Winter conditions are intense, but spirits at camp are high. Everyone has been working together to get people to delegated warming spaces in camp and spaces on the reservation. Medics, security, and veterans have been going from shelter to shelter to do wellness checks on our water protectors. Women, children, elders and other folks who wish to leave camp are being evacuated with four wheel drive vehicles and operators who know how to use them. The road conditions are icy. Visibility is low; however, roads are passable with four wheel drive vehicles. 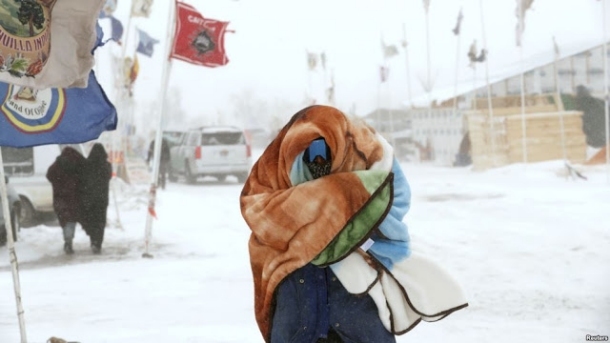 Our medical and logistical volunteers are evacuating patients/campers to the hospital and warming spaces as needed and are stabilizing patients in the meantime, coordinating with the Standing Rock EMS. 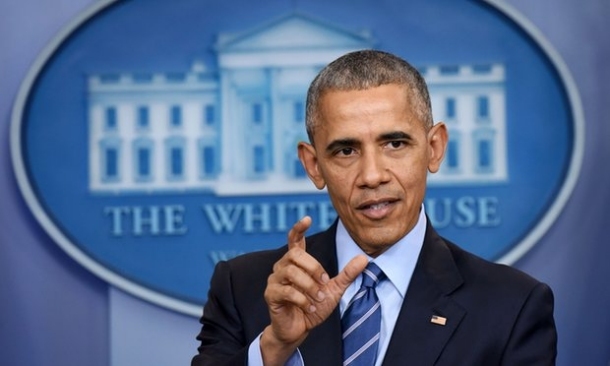 Energy Transfer Partners LP, the company behind the embattled Dakota Access pipeline, is continuing to pursue a court challenge to force the Obama administration to approve completion of the project instead of counting on a better reception from Donald Trump. A day after the Obama administration put the brakes on the nearly 1,200 mile oil pipeline by denying a permit needed to finish the route, a spokesman for Mr. Trump said Monday that the incoming administration supports completing it. But instead of waiting until the president-elect takes office next month, Dallas-based Energy Transfer Partners is pressing ahead with a request to a federal judge to allow the company to immediately cross beneath a Missouri River reservoir, the final 1,100-foot link to be built in the pipeline. 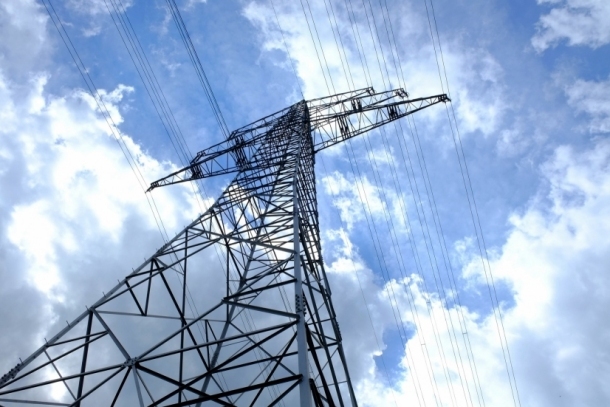 Lawyers for Energy Transfer Partners asked U.S. District Judge James Boasberg for an expedited ruling late Monday that would allow the company to complete the project. The delays have already cost the company $450 million, the company said in court papers filed in U.S. District Court in Washington, DC. The decision by the Army Corps of Engineers not to grant the permits necessary for sending the Dakota Access Pipeline beneath the Missouri River is a tribute to truly remarkable efforts by Indigenous organizers, from the Standing Rock Sioux tribe to groups like the Indigenous Environmental Network and Honor the Earth. It’s also a tribute to the incredible power of civil disobedience, a tool I tried to describe in last week’s print edition of The Nation. 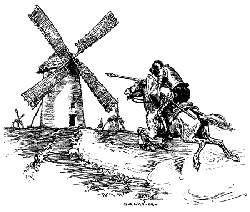 Breaking: Shiyé Bidzííl Attacked By Bismarck Locals! 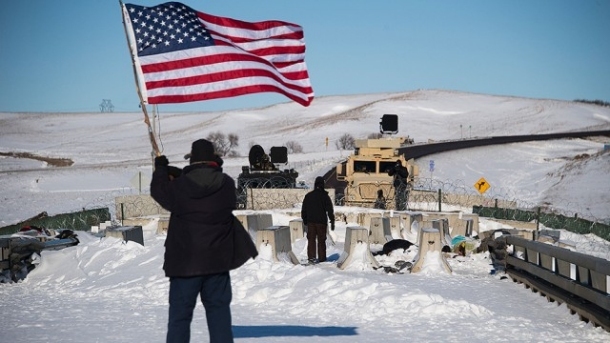 Wes (Wesley Clark Jr.) is honored at Standing Rock for starting this good veteran's movement. I'm honored to work with him in service to our veterans. I swear, all these good strong men with huge hearts and weeping eyes are going to help us save the world. From the start, this has been an against-the-odds battle. Energy Transfer Partners, the company building the pipeline, is as wired as they come: its line of credit links it to virtually every bank you’ve ever heard of. And operating under a “fast-track” permit process, it had managed to win most of its approvals and lay most of its pipe before opponents managed to mount an effective resistance. Attorney General Loretta E. Lynch released this video statement on 02 DEC 2016 regarding the Dakota Access Pipeline protests. We understand the concerns that have been shared with us regarding product sales related to the recent protests in North Dakota and have been working very hard to gather all of the facts from our locally-owned Ace stores that operate in the area and local authorities. To be candid, we've been working feverishly to unearth all of the facts, which have been cloudy at times. 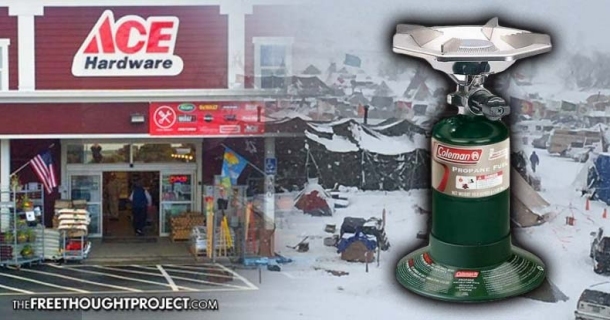 As part of the Morton County Sheriff’s Department’s effort to quash the movement camped in opposition to construction of the Dakota Access Pipeline, national chain ACE hardware stores have been instructed by law enforcement not to sell any incendiary devices — that includes propane tanks Standing Rock Sioux water protectors partially rely on for heat in the bitter winter conditions. In other words, law enforcement has effectively quashed the sale of potentially life-saving supplies to those encamped at Standing Rock as bitter winter conditions grip the Oceti Sakowin and other camps. Activist and live-streamer, Kevin Gilbertt, whose video of a police offensive against water protectors on Highway 1806’s Backwater Bridge went viral and exposed barbarous police tactics, received by email a letter defining ACE Hardware’s sudden change in policy — with a contact phone number. “Just wanted to check on a policy that I’d heard about, to make sure [of] the truth of this policy,” he asks the ACE Hardware contact, Camillia, as he recorded the phone conversation. 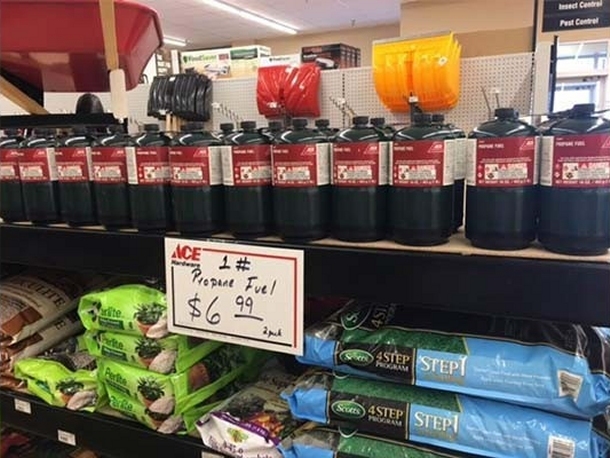 “I’ve been informed that in the area around the pipeline in North Dakota, ACE Hardware were no longer able to sell anything considered incendiary, including propane.